Jennifer Aniston, Kate Hudson, Julia Roberts et al. DVD: 113 min., Blu-ray: 118 min. There are only a few days left before the Mother's Day, as several families have to come to terms with how they'll be spending the big day. Whether it's dealing with a new love, a lost love, or no love at all, this Mother's Day will prove to be one for the romantic comedy ages - and one to be remembered by audiences for decades to come. 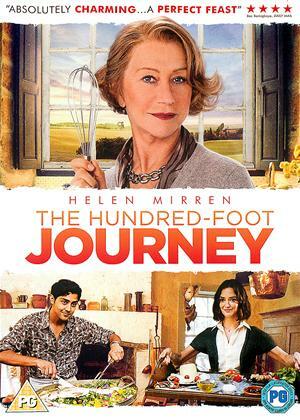 Sweet, complex, funny and moving - just like moms across the world. 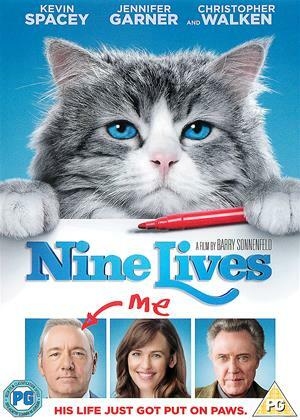 This is a really easy film to watch with no issues, no deep problems and everything is shiny and happy and smiley. There is nothing taxing about this film, it's probably shallow but at times that's what you need. It cheered me up. Bad, bad, bad film, Hollywood at its worst! Don't know what I was thinking renting it, possibly that with Julia Roberts in it, it couldn't be that bad. Wrong. Roberts is not actually allowed to act, apart from doing the trademark smile for a few seconds. As the middle aged woman who chose career over children (really? Are we still doing that stereotype?) she can't be happy and is only allowed to show any emotion when she picks up a baby. Dear me. The film is all female/mom stereotypes and easy solutions (so your parents are bigots, just tell them how you feel and their personalities will transform), and plain racism - the stereotypical Indian mother and the Indian guy who must be a terrorist until some white woman says 'no, he's with me'. If you're looking for a couple of hours of shallow and sentimental entertainment full of beautiful people, go ahead, because that's all this is. Jennifer Aniston is as watchable as ever, and the cameo by Jack Whitehall is charming, but those are the only good things about it. 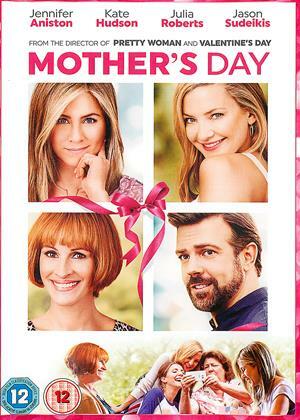 Mother's Day is an epitome of cringe, missed comedic timing and script that’s devoid of any real essence that, you know, a least gives movies a redeeming factor no matter how god-awful they happen to be. That said though, you can still have fun with Mother's Day while drunk, getting over a breakup or both at the same time. When stars like Jennifer Anniston, Kate Hudson, Julia Roberts, Jason Sudeikis and Timothy Olyphant line up to make a movie, you know that it’s either going to be a smashing hit, or a carnival disaster that’ll ruin someone’s career in the process. Thankfully, Mother's Day is neither: instead it’s a sub-par rom-com without character development, character motives or a proper storyline, but hey – at least it won’t start any World Wars in the near future, and that’s a big plus in my book. 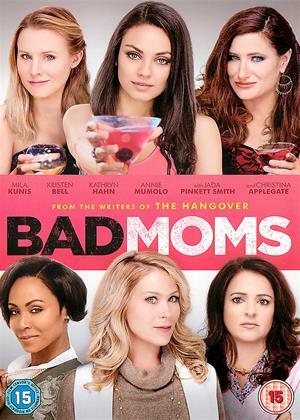 The theme revolves around, you guessed it - Mother's Day in contemporary urban America, and just as Christmas or Halloween, the flick tries to portray various mishaps done by characters out of their comfort zones, somehow. But what the audience gets from director Garry Marshall instead is a heterogeneous mixture of bad dialogue and a Sudeikis-Anniston duo which feels worn out and nothing we haven’t seen before. It’s actually everything we’ve seen before, only worse. The film’s redeeming qualities can be found in Jennifer Anniston’s attempt to inject some life force into an otherwise barren shell of a film, and to some point she succeeds when left alone by the other actors. As soon as her ex-husband Henry (played by Timothy Olyphant) jumps into the mix – things fall apart really quick. He’s a charismatic actor for sure, but here it seems Olyphant just wants to, and I’ll use a cliché – collect a paycheck and nothing more. And when the exposition takes turn – it hits you with a full force of one thousand Muhammad Ali’s across the face and knock you unconscious until you either dream up a better movie, or wake up suddenly only to find yourself into the nightmare that is the screenwriting penned by Kochoff, Walker and Hines. Mother's Day has sentences aplenty that no human being will, could and should ever utter in both the real world and on the big screen. Further down the road, the message this piece it’s putting across is so convoluted that it’d be better if it just didn’t exist at all. In Mother's Day, the funniest moment comes when we see Julia Roberts’ wig for the first time. And the second. And so on. Also funny is how everything wraps up in the end –reminiscing a bad teenage rock band gig shut down early by restless neighbors who weren’t very much fond of the loudness and chaos it all brought to their otherwise quiet neighborhood. Come on Hollywood, you’re better than this.